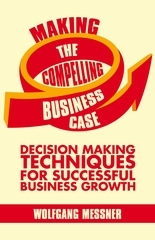 "Messner's new book is one of the most extensive works on business cases available." and risk assessment that are not always considered in one source." Read the book's reviews and about the author.